The cloud services giant used the second-day keynote of its Re:Invent partner and customer conference in Las Vegas to share details of its expanding database software portfolio. As such, the firm announced new features for its incumbent technologies, Aurora and DynamoDB, including multi-region support so users can scale out their database reads and writes across multiple datacentres, and debuted its graph database technology, Amazon Neptune. 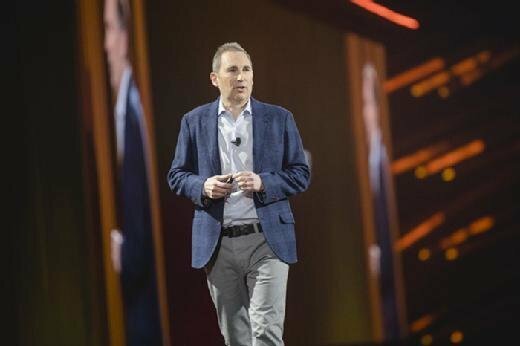 While introducing the products, AWS CEO Andy Jassy said the expansion of its database portfolio was being driven by a customer revolt against “abusive relationships” enterprises sometimes find themselves in when working with commercial-grade database providers, before singling out Oracle as an example. “These are companies that are very expensive, have lock-in and are proprietary, [and] really are abusive to their customers. They don’t care very much about their [customers],” he said. Echoing comments he’d made the previous day during the Partner Summit keynote at Re:Invent, Jassy claimed enterprises were increasingly looking to move away from proprietary, legacy database providers for performance and cost reasons. In a statement to Computer Weekly, an Oracle spokesperson said it would be unable to comment on the exact nature of what was said in the keynote, before going on to claim the contents of AWS’s cloud service level agreement (SLA) leave a lot to be desired. “We would point to the AWS SLA caveats. These exclude unplanned downtime due to, among others, maintenance, software bugs, configuration changes, unplanned and planned, due to security patches,” the spokesperson said. The database announcements were among 22 new products and services showcased during the keynote, with Jassy confirming this year’s Re:Invent should result in 70 additions being made to the firm’s growing portfolio of offerings. Such is the pace of product innovation at AWS, by the close of 2017 Jassy said the company would have rolled out more than 1,300 “significant” new services and products, with users of its technology able to take advantage of an average of 3.5 new services each day. Some of the announcements consisted of add-ons to existing products, including S3 Select and Glacier Select. These services are designed to speed up the time it takes users to extract specific pieces of data from these cloud storage repositories, and – in turn – improve the performance of the applications that depend on them. The keynote also saw AWS flesh out its play in the container space, with the announcement of Amazon Elastic Container Service for Kubernetes and AWS Fargate, which Jassy said should help alleviate some of the heavy lifting users have to do when trying to make containerisation technologies run on AWS. “For customers that want to run Kubernetes on top of AWS, there is work to do. You have to deploy a Kubernetes master, and if you want high availability you have to do that across multiple availability zones and you have to configure them to talk to each other and load balance, and it’s just work. So they [the customers] asked if there is something we could do to make it a much easier ride,” he said. At Re:Invent 2016, the company outlined its commitment to lowering the technology and skills barriers to entry for enterprises wanting to incorporate machine learning and artificial intelligence capabilities into their customer-facing applications and services. During this year’s keynote, Jassy acknowledged there was still a lot of work to be done on this front, as the technology remains out of reach for many, but new additions to the company’s machine learning portfolio, such as Amazon Sage Maker, should help. The aforementioned technology is billed as a managed service for developers and data scientists to use to help build, train and deploy their own machine learning models. Along with the roll-out of AWS Deeplens, a wireless video camera that aims to provide developers with hands-on experience of using machine learning, they represent a renewed push by Amazon to help enterprises side-step the skills shortages that risk keeping machine learning off-limits to them. “There just aren’t that many expert machine learning practitioners in the world. We’re training more at university, but there just aren’t that many,” he said.